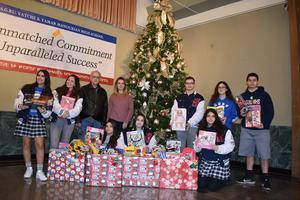 AGBU Vatche and Tamar Manoukian High School’s Service Club supports the Christmas Toy Drive organized by the Pasadena Armenian Police Advisory Council (PAPAC). 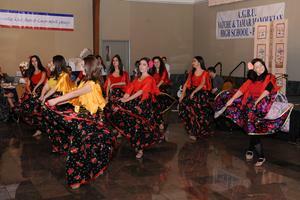 How Does The Armenian Lyricism Taste? 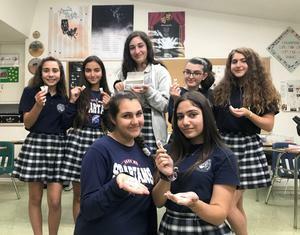 Mr. Daduryan has told the 9th grade Armenian Honors students that the lyrical poetry is the most “fragrant” part of the Armenian literature. 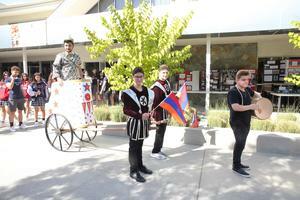 It seems only appropriate that we think of Armenian Romanticism as nothing other than sweet! Each year, The Constitutional Rights Foundation creates and produces a new set of Mock Trial materials based on an important issue facing America's youth. 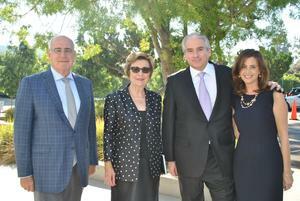 On Wednesday, October 24th, Mr. Berge Setrakian, the President of AGBU, visited AGBU Vatche & Tamar Manoukian High School. 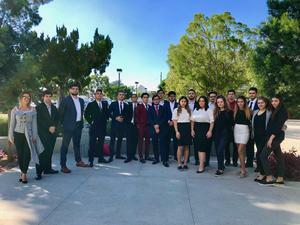 On the evening of October 11th, various AGBU MHS stakeholders—including students, teachers, administrators, parents, and alumni—attended the first Stakeholder Meeting in preparation for our WASC visit in March 2019.